The Byham Theater was originally built as the vaudeville-era Gayety Theater and opened on Halloween night, 1904. It was designed by Dodge & Morrison, a firm nationally-known for theatrical design, and featured stars such as Ethel Barrymore and Helen Hays. A major renovation and renaming gift saw the theater reopen in 1995 as the Byham. Participants will experience the historic restoration of the Byham including the original tile "Gayety" sign on the vestibule floor, clear lamps representing the advent of indoor electricity, faux marble painted columns and period sculptures in the lobbies and auditorium. 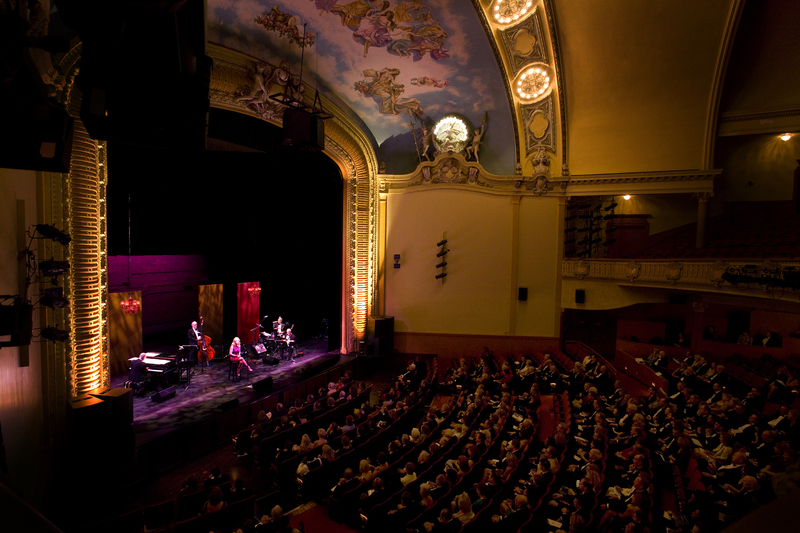 Originally built in 1903 as the Gayety Theater, The Pittsburgh Cultural Trust purchased this 1300-seat venue, then called the Fulton Theater, in 1988. The Trust renovated and reopened the Fulton Theater in 1991. The theater was renamed the Byham Theater in 1995, in recognition of a gift from William C. and Carolyn M. Byham. Today, the Byham Theater is home to a wide variety of performing arts, including dance, music, theater, film, and family-friendly events held throughout the year.